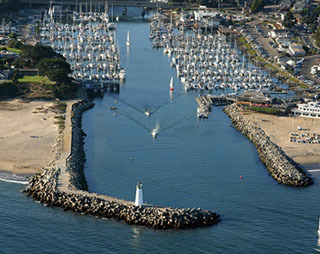 On behalf of the Harbor Commission and District staff, we welcome you to the Santa Cruz Small Craft Harbor. Our website will provide you with information describing features, amenities, and a variety of activities throughout the harbor that are available to harbor users and visitors. Come by land or sea, and whether you visit for an hour, a day, or are a frequent visitor to the harbor, we hope that you have a pleasant and enjoyable experience.